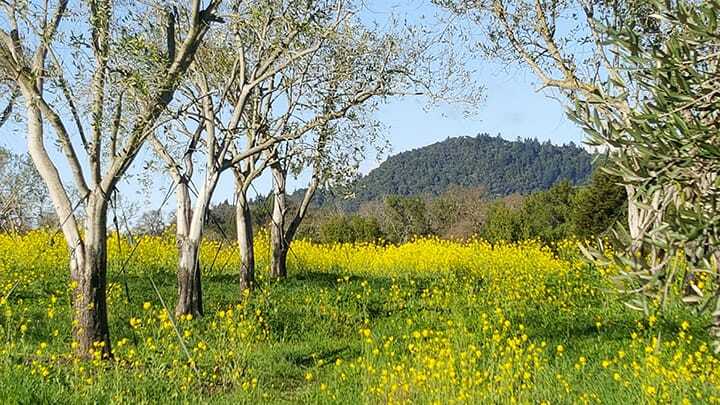 Each February, masses of beautiful bright yellow mustard flowers bloom in many vineyards and fields in Sonoma County. 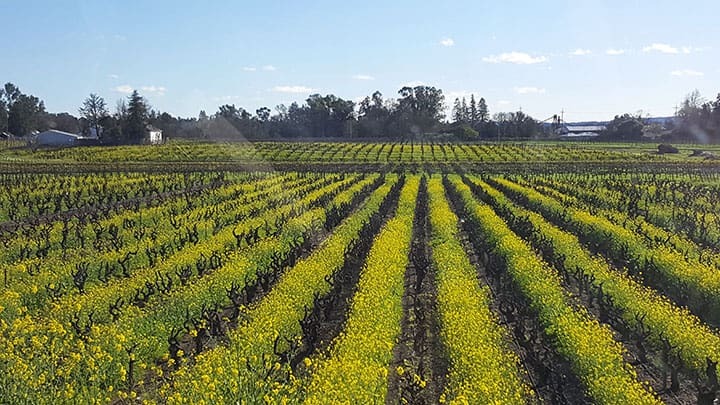 Some of the mustard grows wild and some is purposely planted in vineyards as a cover crop to help prevent soil erosion and weed growth during the rainy season, to help keep nematodes under control, and to add nutrients to the soil when it is turned under. 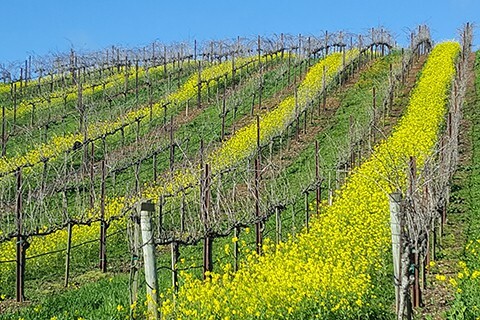 Besides being a useful part of vineyard management, the mustard offers a stunning annual pre-spring burst of color. 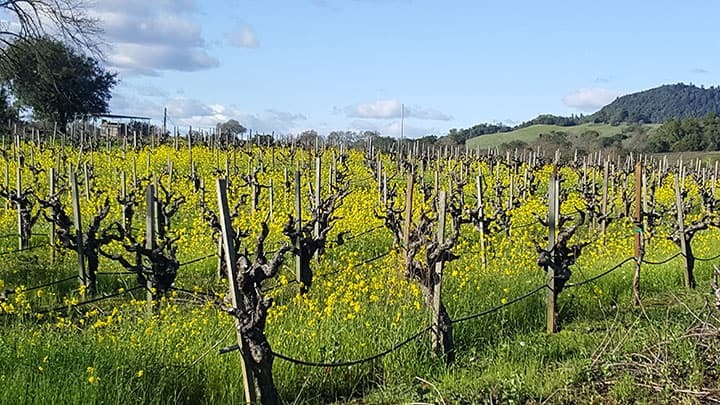 I took these photos along Limerick Lane (February 2019), but there are many places in Sonoma County where you can see the colorful display.